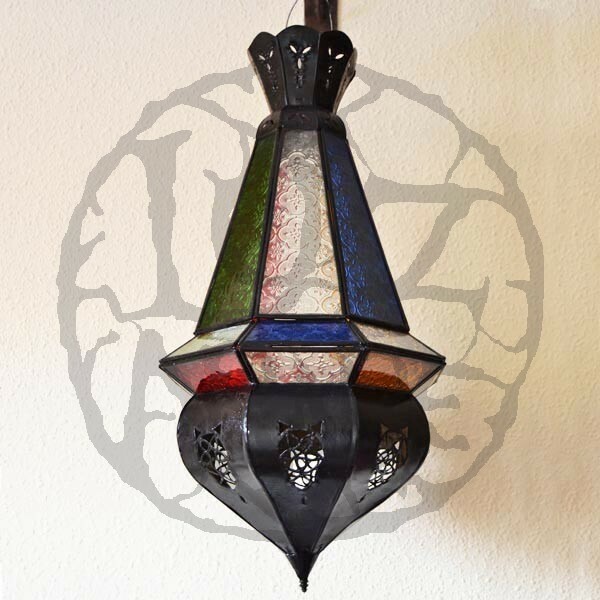 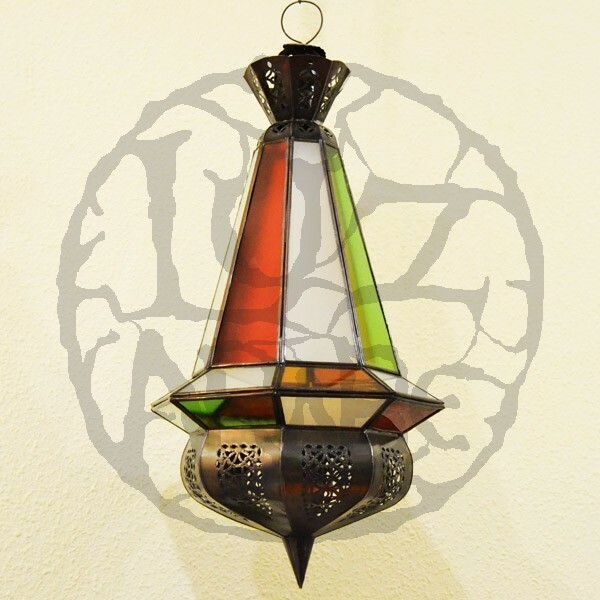 Arabian Pear shape ceiling lamp of openwork iron and colorful crystal. 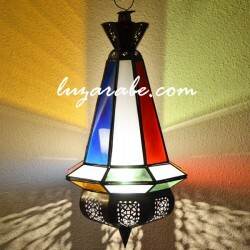 - pear shape crystal lamp of Árabic style. 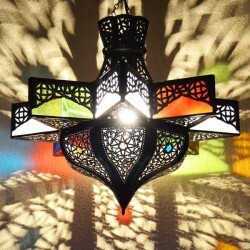 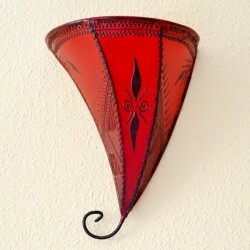 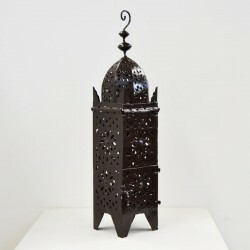 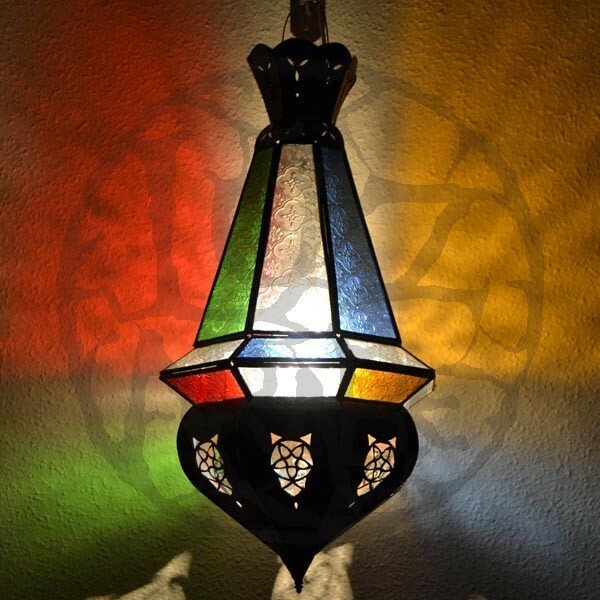 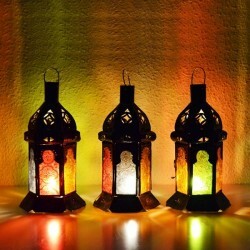 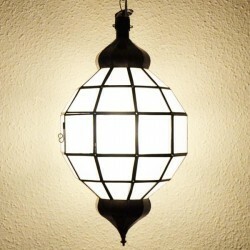 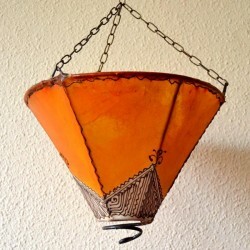 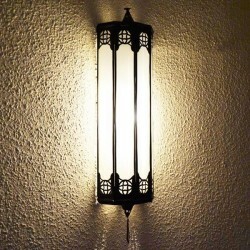 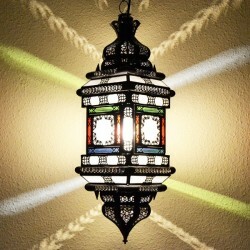 Light is a very important element in the decoration of the Arab culture. 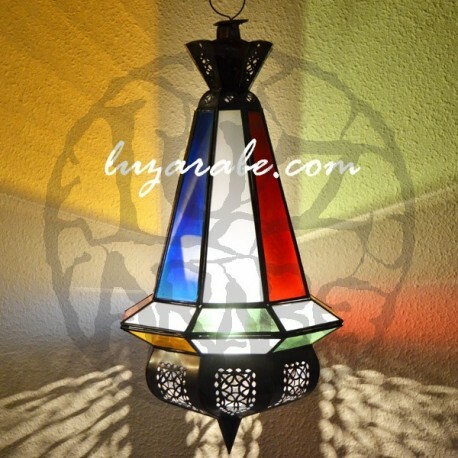 This pear shape ceiling lamp of colorful crystal will introduce a set of reflections of colorful lights creating a very stylish environment.